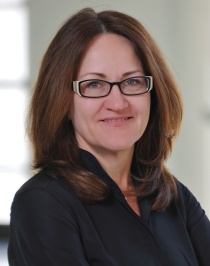 NEW YORK: RF|Binder has appointed Linda Perry-Lube as its chief digital officer. She previously served in the same role at the American Museum of Natural History. Perry-Lube, who is reporting to RF|Binder CEO Amy Binder, is leading the agency's digital strategy group, which was created in 2010. She succeeded Nada Arnot, who left the firm to join test-prep company Kaplan as VP of marketing. Perry-Lube's responsibilities include advising and counseling the senior leadership team, helping staffers across all practices enhance their social media and digital skills, and working on new business pitches, she said. “My goal in this position is to bring bigger, more integrated digital and social ideas to our clients, as well as to help take the agency in general to the next level and [to help] the staff get skills in this area to be even stronger than they are today,” said Perry-Lube. She added that she wanted to work at RF|Binder because of the agency's focus on integration, which has been a “mantra” of hers throughout her career. During her three-year stint at the American Museum of Natural History, Perry-Lube helped to develop and implement the museum's digital strategy, leading to a series of iPhone and iPad apps. Previously, Perry-Lube held various digital and marketing communications positions at companies such as Microsoft, Ford, and Beyond Interactive. She also founded her own business consultancy in 1990 called Online2000. Perry-Lube noted that she is joining an agency when social media and digital communications are on the rise. “[PR agencies] know how to communicate, so with the whole social phenomenon, we're the best-suited type of agency to get clients communicating with influencers who are now their fans and followers on Twitter,” she explained.